Ann Arbor resident Andrea Bond asks a question about soil. The plume of 1, 4-dioxane has contaminated three square miles of groundwater under the city. The EPA says the chemical is likely to cause cancer. 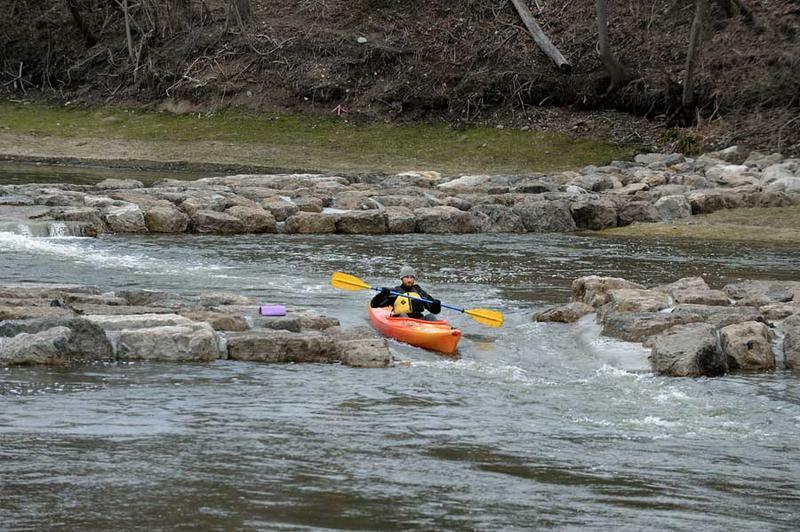 Interim director of the Michigan Department of Environmental Quality Keith Creagh told the audience his agency is paying attention to their concerns. “This is an important issue, and you live it every day. And I can’t pretend to know what that is. But it is your community and we need to work together,” he said. The DEQ has proposed a tougher cleanup standard for dioxane. The change would take the action level from 85 parts per billion down to 7.2 parts per billion. That would make it easier for a court to force the company responsible for the pollution (Gelman Sciences, now Pall Corp.) to clean it up. "So as we go promulgate this standard, we'll need to go back to court, we'll need to make this enforceable," said Creagh. "And then we'll need to look at it more in total, and engage the community." Andrew Rushing lives in Scio Township. "These are our homes, these are our backyards, these are the creeks and the ponds that we don't let our children fish in," he said, chiding officials for using words like 'site' to describe the contamination. 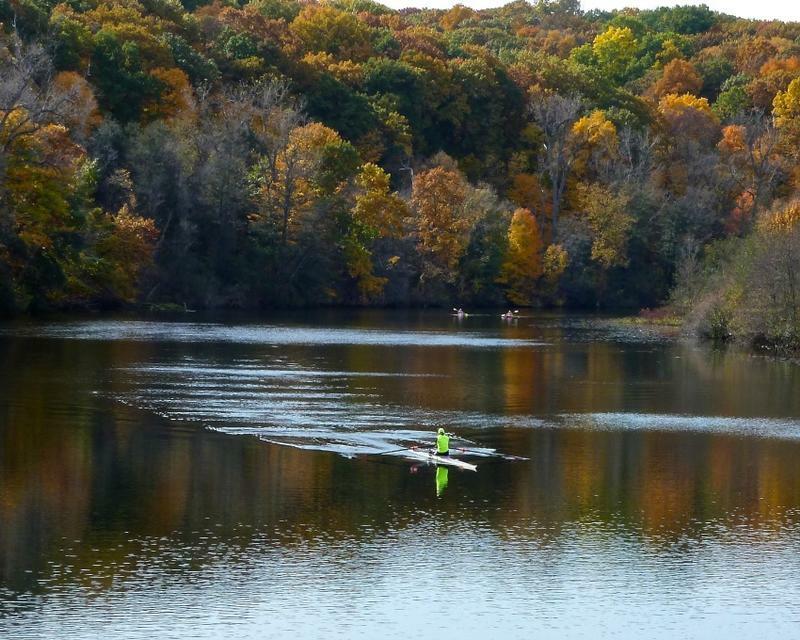 Residents raised concerns about well water and soil, and about transparency from the DEQ and Pall Corp.
Rita Loch-Caruso is a toxicologist and a professor at the University of Michigan School of Public Health. 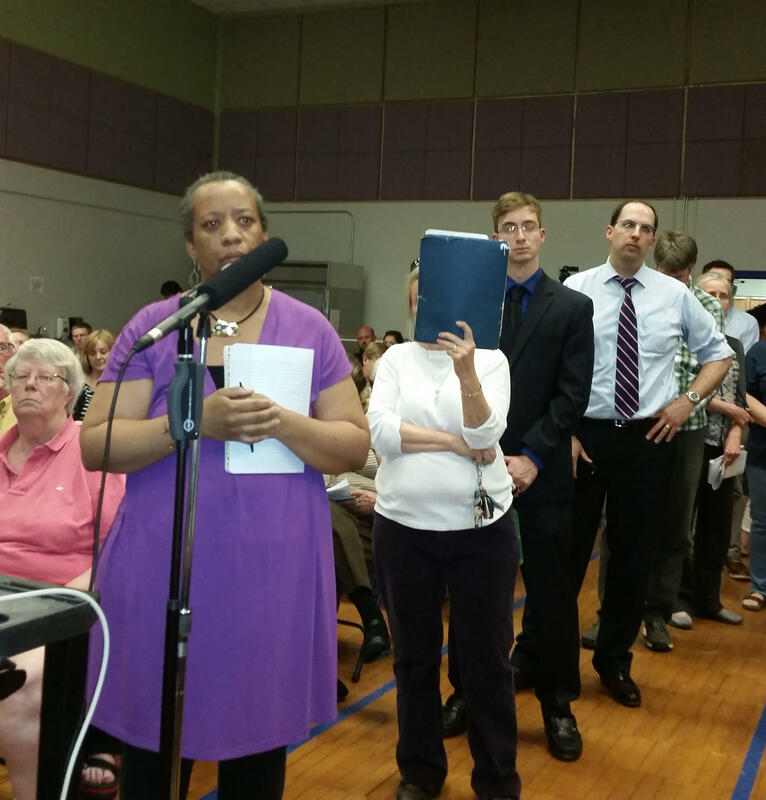 She told the audience why they should care about this contamination under Ann Arbor. "You should care because 1, 4-dioxane is a health hazard. When a person inhales 1,4-dioxane or if you swallow 1, 4-dioxane, almost every bit of that gets absorbed, gets taken up into your body," said Loch-Caruso. She says they have limited data on the chemical. "But from what we know, the two main organs that are adversely affected by exposure to sufficient levels of 1, 4-dioxane are the kidney and the liver," said Loch-Caruso. Loch-Caruso ended her comments by saying, "public health should not be kicked around like a political football. We need real action that protects the public health." Director Creagh responded, saying, "Our first priority is public health." 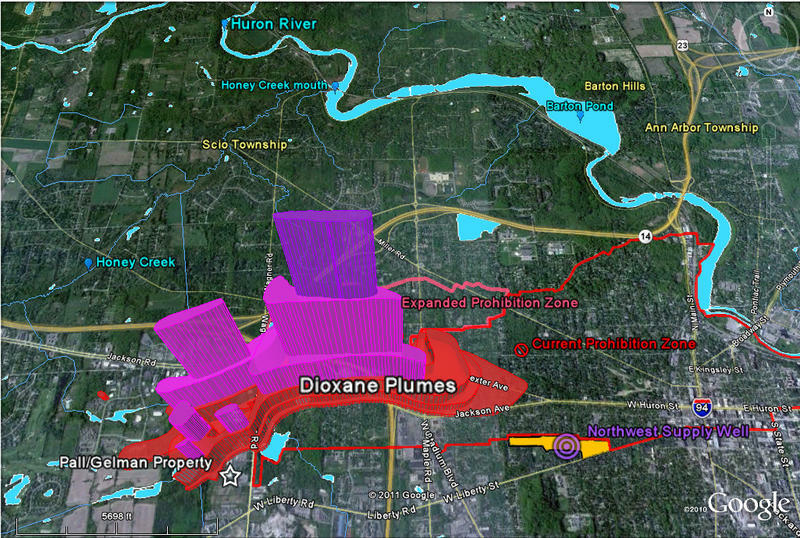 You can listen to recent Stateside interviews about the 1, 4-dioxane plume with Ann Arbor officials here, and an interview with the MDEQ's Bob Wagner here.